Disney’s Dumbo is the latest in a line of live action adaptations and re-tellings of beloved Disney classics. While directors like Jon Faverau have been involved with past films, the job of telling the story rests on the shoulders of Tim Burton. Disney’s Dumbo is the latest in a line of live action adaptations and re-tellings of beloved Disney classics. While directors like Jon Faverau have been involved with past films, the job of telling this story rests on the shoulders of Tim Burton. 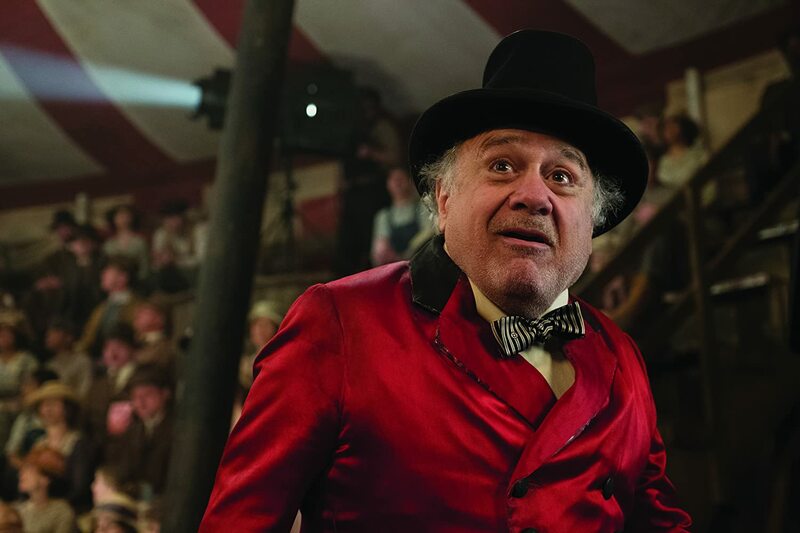 Dumbo takes place in the early 1900’s and is about a failing traveling circus owned by Max Medici (Danny DeVito). When the circus makes a stop in Sarasota, Florida, it is rejoined by horse trainer and now WWI vet Holt Farrier (Colin Farrell) who has returned from the war. Holt comes back with only one arm and tries to get back to the way things were before he went to war. He is greeted by his two children Milly (Nico Parker) and Joe (Finley Hobbins) and they begin to settle back into circus life. Meanwhile, the circus gets a new shipment of elephants and one of them happens to be pregnant. The baby elephant is born a few days later and has abnormally large ears. Max tries to find a way to fit the elephant into one of his acts but fails when he becomes the laughing stock of the show. Milly and Joe find a way to cheer Dumbo up while also discovering that he can fly. When word gets out, Max showcases Dumbo wherever they go and it catches the attention of V. A. Vandevere (Micheal Keaton) and his star act Colette Marchant (Eva Green). The two invite the circus to join theirs at Dreamland. Dreamland feels like just the right fit but things are not as they appear to be. The movie is written by Ehren Kruger and I can tell that he had a struggle with adapting a movie that was only 64 minutes long. The first half of the movie feels like the original, but it’s when the second half starts that a different story kicks in. The main plot about Dumbo trying to be reunited with his mother is the emotional center. 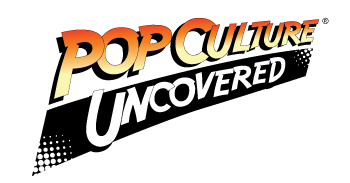 Other subplots are thrown in that seem to either deter the main story or distract the viewer from what they really want to see. Dumbo is the emotional center and it works really well. I found myself rooting for the little guy whenever he was on screen. The rest of the story, save for for Max Medici’s story – the struggling circus and his family of performers – falls apart. The production design in Dumbo is impressive for the most part. The costumes look beautiful and each character has a deliberate and unique look to them. The sets are beautiful and even the train Casey Jr looks like it came right out of the original. Whenever I saw the Medici circus I wanted to live there more and more. 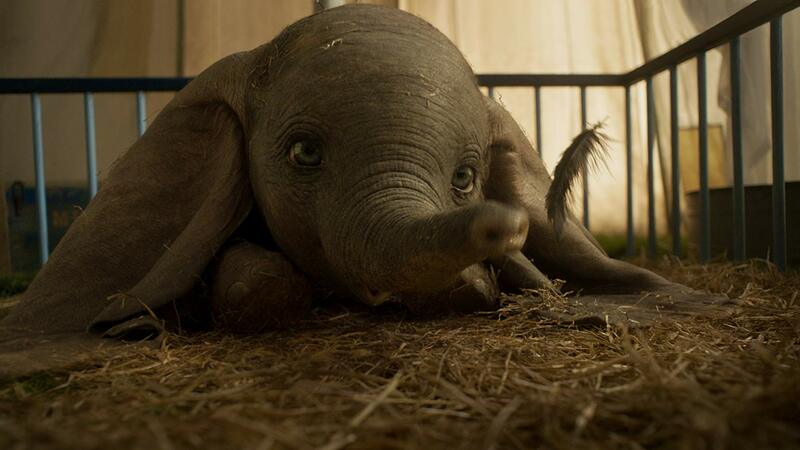 Dumbo also looks great in this movie. The CGI animation is almost lifelike and that helps the audience connect with him on an emotional level. While there are some things in this movie that work, there is a lot that doesn’t. The acting in this movie outside of Danny DeVito is terrible. All of the other actors look and sound like they don’t want to be there and it absolutely shows. The kids played by Nico Parker and Finley Hobbins try in their scenes but ultimately fail. Parker is very monotone and stone faced in her scenes and Hobbins sounds like he is reading directly from the script. Colin Farrell’s Holt is supposed to have a southern accent but that keeps slipping as the movie goes on. Farrell is a terrific actor but he just seems to be out of place here. The worst bit of acting comes from Michael Keaton. Keaton seems to be in a whole other movie whenever he shows up on screen. It’s almost as if he is trying to relive his days as Beetlejuice or Batman and he is so over the top in his performance that I just wanted him to go away as soon as he step foot on screen. One of the other aspects that didn’t work was the overuse of green screen backgrounds and CGI. I know the elephant needs to be CG but some of the backgrounds and some of the circus animals didn’t. There is a monkey that is featured that looks horrible in its movements and in its facial expressions. Scenes where they are supposed to be outside in a field look very bad. Disney could have easily scouted places to shoot them. Ultimately, the biggest thing that didn’t work was Tim Burton. The second half of this movie has his fingerprints all over it. The design takes a weird twist and everything becomes unnecessarily Gothic. This sudden turn should never happen in a Dumbo movie and I found myself rolling my eyes. I know that all directors try and put their touch on their movies but this was too much. It also felt very steampunk, which also shouldn’t be in this movie at all. It doesn’t feel like a family film. It doesn’t feel like anything at all. This film has an identity crisis and Burton is to blame. I went into Dumbo with an open mind hoping to like it, but in the end it fell flat on its face. There are some things that really worked but its muddled by so many bad things that it is hard to enjoy.